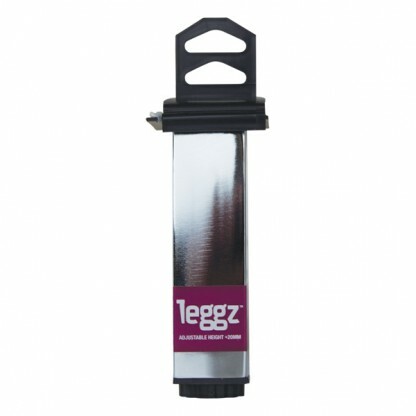 150mm extendable square metal leg in black or chrome finish. Add the finishing touch to a new project or update worn and tired furniture. Maximum weight capacity 20kg per leg. The Square Metal Leg 40 x 40 x 150mm is available in black or chrome finish. Perfect for cabinets, they add the finishing touch to a new project or update your existing furniture. They are adjustable to 170mm and have a maximum weight capacity of 20kg per leg. All hardware is included. The standard thread size for metal Leggz is 3/8″.